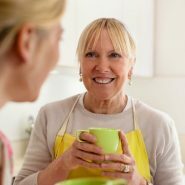 Get the inside scoop on what our mothers-in-law most want from us. How is your relationship with your MIL? Nightmarish? OK? Pretty good, but could be better? Wondering how to upgrade your relationship? How to make your MIL really happy? Last week CB Lieber of Family First magazine interviewed a bunch of mothers in law to get their real-life tips on how each of us can upgrade our MIL-DIL relationship. 1. Out of the blue, call your MIL or Email, text, whatsapp, FAX, or whatever, just to say hello. Send cute photos or anecdotes about her grandkids. Very appreciated, since she knows how busy you are. 2. Ask your MIL for advice. It will give them nachas, and chances are you’ll learn something helpful. 4. Thank your MIL for all she does for you. For the meal she prepared, for taking your grandchildren on a fun trip so you could rest. 5. Be considerate: What can you do to make your MIL’s life easier? All of us, G-d willing, will one day be MILs. How would you want to be treated? This year one of my goals is to do more nice things for my MIL. Want to join me? Have a great week! . Every year, the way I relate to my MIL is on my al cheit list… Maybe this should be my resolution too.